Is education grounded in social science or philosophy? I presented a session at the Midwest Educational Research Association conference in Columbus, Ohio (October 13-16, 2010). Its purpose was to discuss whether the improvement of American public education is more likely to result from Glickman’s (2001) claims in “Dichotomizing Education: Why No One Wins and America Loses,” or from my claims in The Six Virtues of the Educated Person (TSVOTEP). Glickman’s position is that we must govern democratically, and nobody’s definition of “educated” should be forced upon others. He wants all definitions held up to the scrutiny of research and public accountability. His position is based on the social science paradigm for improving schools — educators should apply what research has found to be effective at improving student test scores. This paradigm was the creation of education professors in the 1950s and 60s. 1. What does it mean to be educated? 2. What does it mean to live a good life? 3. What is our human nature? My position is that education outcomes and policy are more likely to improve through an inspiring, useful, universal definition of what it means to be educated than through “research and assessment.” Glickman and I agree that “when a group of students and parents choose to be with a group of educators dedicated to a particular philosophy and way of learning, the results for students can be awesome” (2001, p. 149). We disagree on how to make that happen in schools. My point is not to convince others of any one definition of a well-educated person but to share the need for varied conceptions of education, conceptions that must be in conformance with “public “ criteria and equally based on data about student accomplishments and successes.
. . . We need an education system that supports multiple conceptions of an educated American, that subjects all such conceptions to the scrutiny of research and public accountability, and that fixes all actions of classrooms and schools within the boundaries of equity. American students and schools lose each time one “truth” gains currency and suppresses competing notions of public education” (p. 151). He warns about the divisiveness of multiple conceptions of the educated American by describing the “war” between Hirsch’s standardized knowledge curriculum and Kohn’s individualized one. According to Glickman (2001): “Each proponent has his version of ‘truth.’ Each sees little validity in any research supporting the methods that oppose his ideology” (p. 148). Instead of declaring a winner in the “war” of definitions, Glickman (2001) believes it is an American tradition to debate multiple definitions, holding each one up to the scrutiny of research and public accountability. Second, I compare other definitions with mine for their inspiration, usefulness and universality. Since 2009 I have found no other definition to be more inspiring, useful, or universal. The six-virtue definition inspires teaching and learning by requiring both teachers and students to be responsible for learning. Teachers are responsible for modeling the virtues, students are responsible for developing them. This definition is useful because it can guide all policy and behavior. Improving education always requires the same thing — bringing to bear the virtues that are lacking in a particular situation. If a situation is fraught with ignorance, bring understanding. If it is fraught with intellectual incompetence, bring imagination. If it is fraught with weak character, bring strength. If it is fraught with fear of truth, bring courage. If it is fraught with pride, bring humility. And if it is fraught with selfishness, bring generosity. The third part of my argument is that, after we adopt the six-virtue definition of the educated person, we can govern educationally, instead of politically. Education should not be governed politically because political governance (even that which is democratic) models and promotes human vice. Instead, just like Glickman’s (2001) description of the conditions for “awesome” student results, education should be governed according to a shared philosophy — the six-virtue definition of the educated person. Glickman’s (2001, p. 151) metaphor for embracing multiple definitions is that we seek: “A higher ground where contradictory truths must be part and parcel of American democracy.” My metaphor says we must go in the opposite direction. Instead of a “higher ground,” we must seek a foundation that provides the most inspiring, useful, universal definition of the educated person. Which path should we follow? 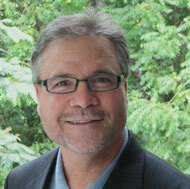 Should we continually debate the knowledge and skills of the educated American–subjecting those to “the scrutiny of research and public accountability?” Or should we (1) agree on the virtues of the educated person, (2) use them to govern educationally, and (3) model and teach them in ways that inspire learning? Today’s scholars and researchers say that educated Americans are those who (a) know the great ideas of western civilization, (b) have 21st Century skills, (c) are able to answer multiple choice questions better than students in other countries, (d) a and b only, or (e) all of the above. A healthy democracy does not need multiple definitions of “educated.” The “educated” citizen is an ideal. We never achieve it, just as we never achieve the ideal of equal educational opportunity. Glickman (2001) does not want the equity ideal held up to the scrutiny of research and public accountability. Why does he want the educated person ideal held up to them? Could it be that education scholars and researchers win when research-based mumbo jumbo is published in education journals? It’s good that dedicated teachers are too busy to read that stuff. It’s a good thing the best ones rely on their own experiences to define the “educated” person. It’s a good thing that the best ones are already modeling and teaching understanding, imagination, strong character, courage, humility and generosity. How is this not the definition of the educated person? Glickman, C. (2001). Dichotomizing Education: Why No One Wins and America Loses, Phi Delta Kappa, 83 (2): pp. 147-152. Hurley, J. C. (2009). 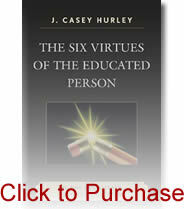 The six virtues of the educated person: Helping students to learn and schools to succeed. Lanham MD: Rowman & Littlefield Education.